Disclosure: The below product was offered to us in order to facilitate this review. All opinions are my own. Art is one of those subjects that we ALL want our kids to have but whether you’re homeschooling and not sure how to go about putting together a curriculum or your school is cutting budgets left and right the Home Art Studio set is not only INCREDIBLY affordable but absolutely perfect for both homeschooling families and traditional schools! (or just for a summer “extra” around the house!) 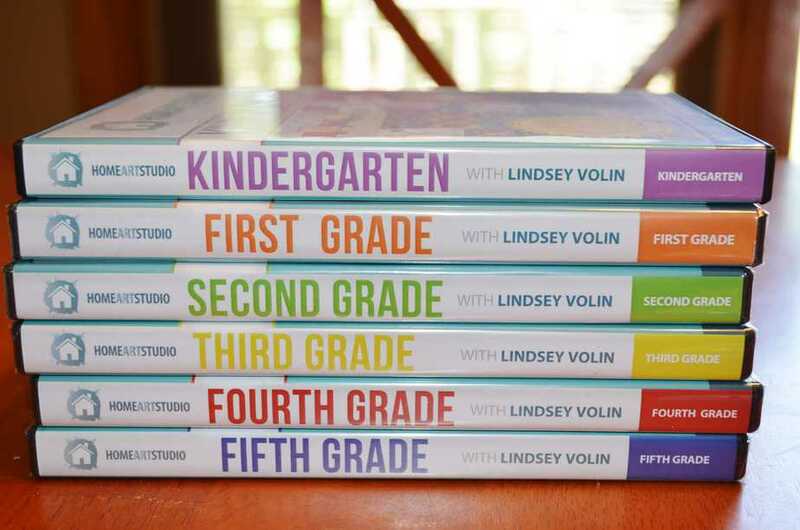 Grades kindergarten through 5th grade are offered and not only has this curriculum won many awards it is actually taught by Lindsey Volin, a certified art educator. For under $30 a grade level you DON’T want to miss out learning more about this art program! Our school is a very small private school with a minimal budget which means we can’t afford to hire a separate art teacher for our students. Each teacher is in charge of their own art projects and lessons which is easier for some teachers than others. As much as all of the teachers WANT to include art some of them just have no clue where to start which is one reason the Home Art Studio really appealed to us. That and the price! For under $180 we could purchase this art curriculum for our entire school AND reuse it year after year! Talk about resourceful! 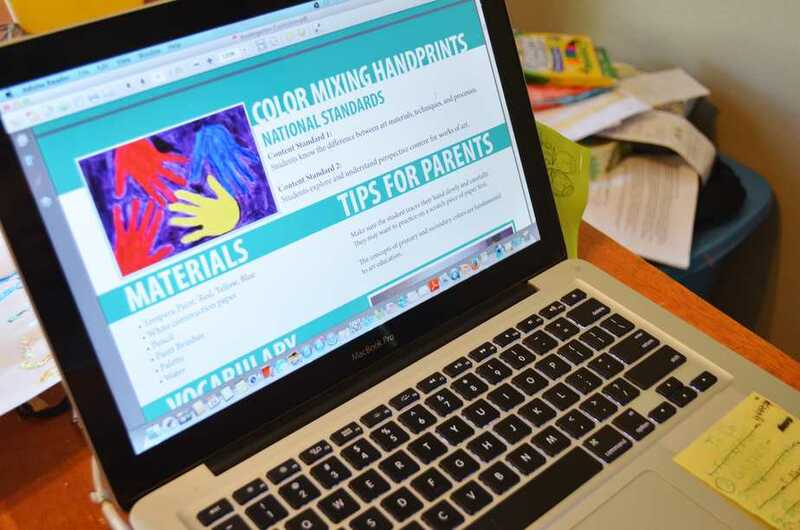 The lesson plans are online in an easy to access format that you can print or simply just read over. Each lesson includes the vocabulary words and definitions used for that lesson, a detailed description of supplies needed, as well as step by step directions on how to complete the craft. Our 2nd/3rd grade teacher in particular is absolutely IN LOVE with this curriculum set because it’s SO easy to follow. The students simply watch the lesson on the DVD provided for that week, and then the teacher passes out the materials she has pre-collected for the students to use. The art lessons are multi-faceted and many cover not only “just” art but also reinforce science and math concepts as well! My boys (photo above) are both enjoying using the DVD’s and projects in class. For the younger grades especially some of our teachers actually pause the DVD throughout the lesson as the students begin on the craft and then continue playing the DVD through each step. For our younger grades it stretches into about an hour total from start to finish and our older grades can accomplish their crafts in roughly 40 minutes or so depending on the lesson. I’ve been trying to sneak over to the school when I hear they are working on their art lessons but this last month of my pregnancy has been a bear for me!! I was able to snag photos of several of the projects though over the past month. The one above the students created their own roller coasters our of paper. The entire experience with this curriculum is very budget friendly which is very important for homeschool families and small schools. Our teachers jumped into the curriculum after the school year started so we’ve been using it for about a month or so in various grade levels. 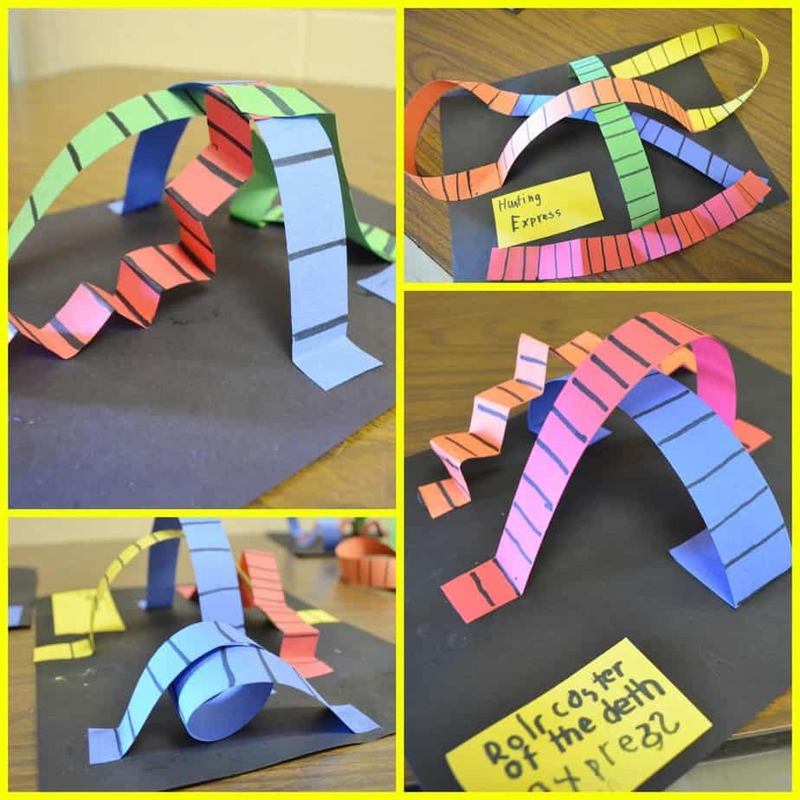 I personally LOVED the roller coasters the students made – they were SO incredibly creative and I would have NEVER thought of this idea on my own! 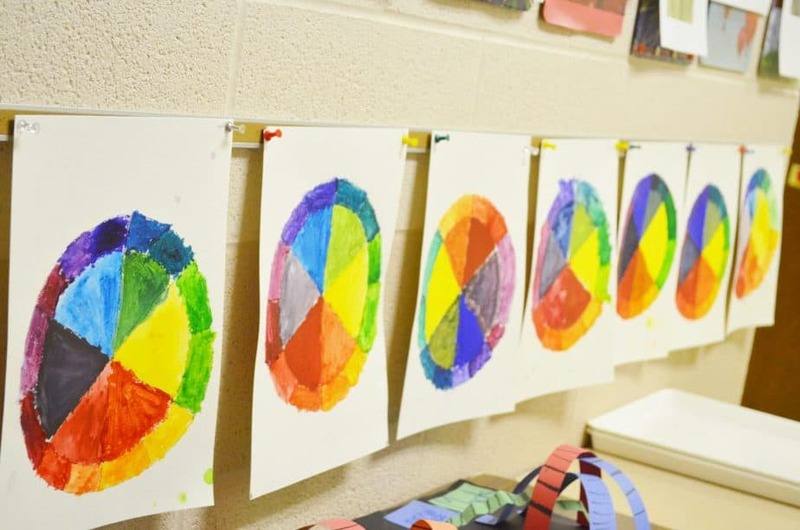 Here the students actually mixed their OWN watercolor paints, and of course painted onto the color wheel. For times sake the teacher did draw the circles onto the paper but the students did everything else from start to finish on their own. 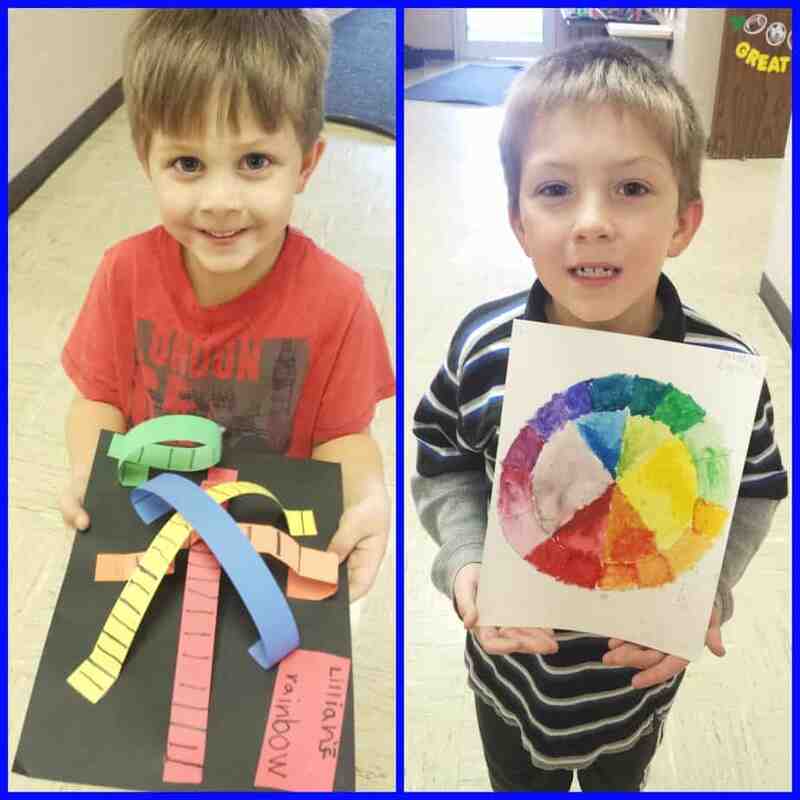 This project provided a fun mix of math and motor skills in this colorful 3D image of shapes! The students worked really hard on this one. I took the photo before they had completely finished their projects but they took this one step further and mounted their artwork onto a larger sheet of construction paper to display. I seriously cannot tell you enough how much ALL of our teachers are absolutely RAVING over each grade level. Our 1st through 5th grade teachers have been using them pretty consistently with their classes and just adore each lesson. Our kindergarten teacher does use them but she is pretty highly crafty on her own and tends to use her own projects which revolve around her current lessons to reinforce learning. You can find FREE lessons, videos, and more resources and details on the Official Home Art Studio website which I HIGHLY recommend. In fact my husband (our school principal) has already recommended this DVD set to other schools who have expressed interest in it and I’ve personally recommended it to several homeschool friends! The wonderful team from Home Art Studio have offered TWO FULL sets of the above 6 DVD’s for a giveaway. That’s TWO winners who will EACH receive 6 DVD’s, grades Kindergarten through 5th grade…..a $180 value for the set! To enter just fill out the Rafflecopter form below! Giveaway open to USA residents/addresses only and ends at midnight CST on 11/11/14. I love art and feel that it is so important for students to participate in it! I enjoy looking for savings on their website. I teach at a self contained middle school where art is not available. You and I have a lot in common. I need your set in my school for my students pre-k!!! the optical illusion lessons looks fun!! I just wish it went higher than 5th grade, I have a 7th grader who loves art!! I liked the free lesson videos on the Home Art Studio website! I’ve learned that they provide a recommended supply list that you can use to complete these projects. I liked that the price was reasonable and the list was pretty consistent for all grades. I hope I win this one! This is exactly what I have bee looking for!!! 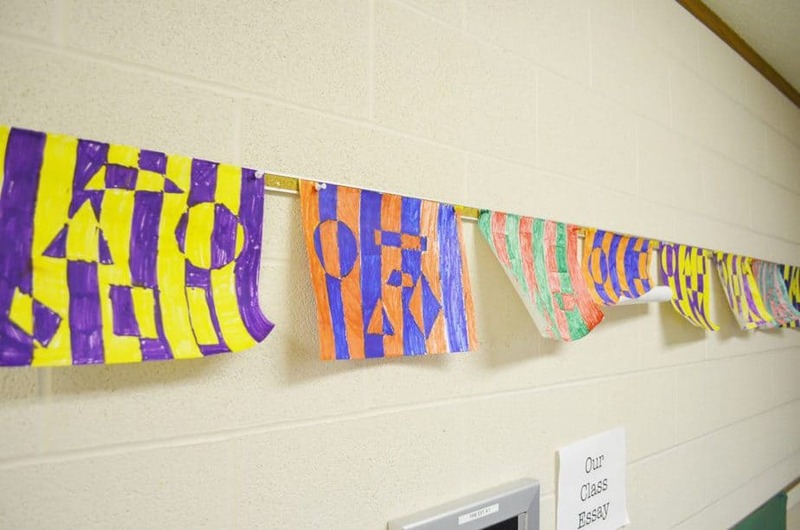 I like that the lessons are divided by grade level and include art concepts and not just crafts. Looks great. I like how interactive it is. The kids can be involved but do it all themselves. Looks like some great projects! we really liked the first lesson we saw with the color wheel. I loved the 5th grade clown fish lesson because I teach 5th grade! I would love to win this for my school. The Georgia O’Keefe flower activity looks awesome!